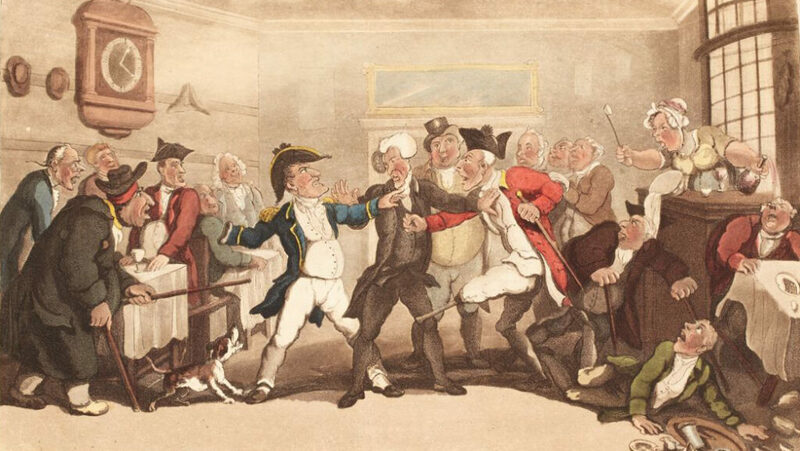 The Cannonians (around 1780) – this was the name of an informal dining club that met in a cookshop in Porridge Island near St. Martin’s-in-the-Fields. Richard Kirwan’s Philosophical Society (1780-1787) had no official name, but was often called the Chapter Coffee House Society, after its main meeting place. William Nicholson joined in 1783, proposed by Jean-Hyacynthe de Magellan and John Whitehurst, and was elected joint secretary with William Babington in 1784. General Chamber of Manufacturers of Great Britain and Ireland (1785-1787) Josiah Wedgwood was the first chairman and proposed Nicholson as secretary. The Society for the Improvement of Naval Architecture (1791-1796) established by Mr John Sewell, a publisher and friend of Nicholson, who proposed him as a member from the outset. The Royal Institution, Committee for Chemical Investigation and Analysis (June 1801– ) Nicholson was appointed to this committee with Anthony Carlisle, presumably proposed by Humphry Davy. The Geological Society of London (1807–) Nicholson joined as a member in 1812, proposed by Anthony Carlisle, James Parkinson, Arthur Aikin (a founder of the society) and Richard Knight.